We truly believe that sustainability is the path to a better tomorrow, and education is our compass. Ocean Warriors (OW) has proven to be effective in bringing environmental awareness into the everyday and providing skills that nurture young students into environmentally conscious adults. When we look at the world today, we realize complacency cannot stand. Now is the time for us to step up and be the change. By giving our youth the tools to stop the cycle of destructive behaviors and teaching them that they have the power to be advocates for our environment, we will reverse the cycle of pollution, water contamination, and climate change. Ocean Warriors teaches our youth that simple daily actions, organized local activities, and growing up with environmentally conscious habits will change industries that rely on our purchasing power. Environmental Leadership Program in any school, anywhere! Contact us to make that happen. ​ you wherever you are! School children, Principals, Teachers, Parents and our government representatives are excited about our programming. 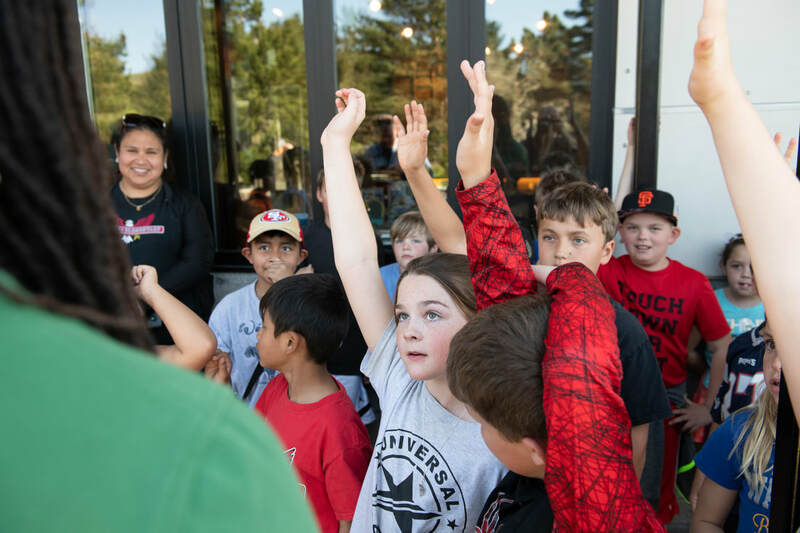 Engagement, Community Service, Field-trips, Leadership - With your help we make it possible to create the next generation of environmental leaders! Did you know that elementary school students have almost no environmental education? Using Project Based Learning, students are given a project each month with an issue to be solved. This teaches the process of the evolution of litter: how it gets from their classroom, to their campus, to their communities, and ultimately to the waterways. Students learn how litter affects our waterways, the Ocean, and its inhabitants. develop a plan of action, and find solutions to the issue - teaching them invaluable research and presentation skills. They will also learn how to get involved with their local communities and how to be leaders in caring for our environment. This is a year-long program, and each project has been designed to fit in with grade-level curriculum and current world conservation activities, covering history and social science, reading comprehension, literacy, and mathematics. Ocean Warriors empowers schoolchildren to become stewards of their schools and communities. We teach students that caring for their environment is COOL and that by being leaders at their schools and in their community they can make positive impacts TODAY! ​Send us a photo of you cleaning the beach and join our tribe of Ocean Warriors!